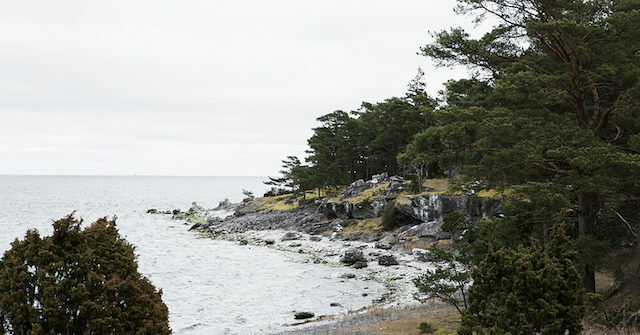 my scandinavian home: Your Swedish island hide-away? 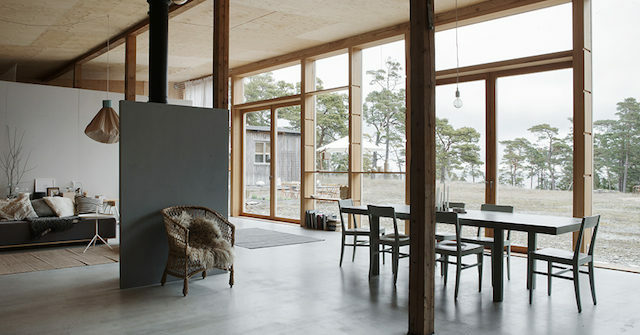 This cabin will have you dreaming of an escape to the tiny Swedish island of Furillen in the Baltic off the northeast coast of Gotland. 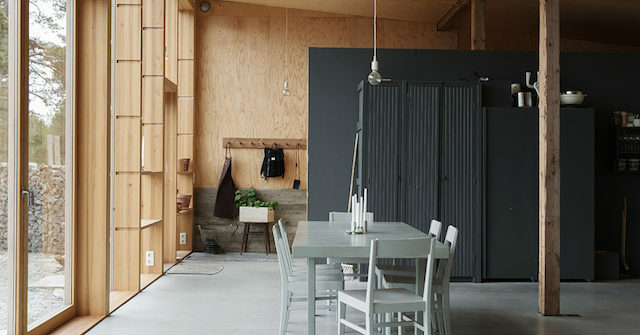 The space was formerly used as army storage and has been carefully renovated using raw materials as well as relics from the original building to create the wonderful holiday home it has become today. Large floor to ceiling windows draw the surrounding wild and untamed surroundings indoors and allow natural light to flood the space, while a bicycle awaits to transport you to your daily dip in the sea. I actually featured this cabin many moons ago here. And now it's for sale! 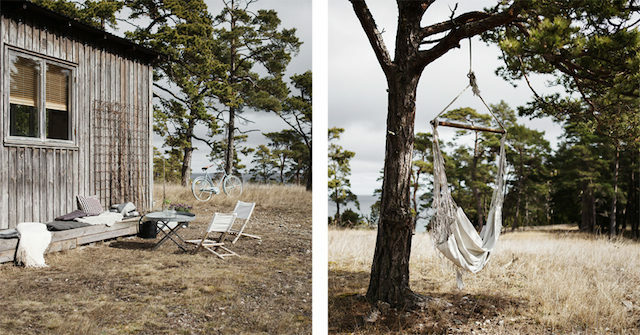 Dear friends, your Swedish island home is waiting for you! Credits / source: ESNY. Found via Stil Inspiration with thanks. The only thing I ask is that you invite me to stay in the summer?! 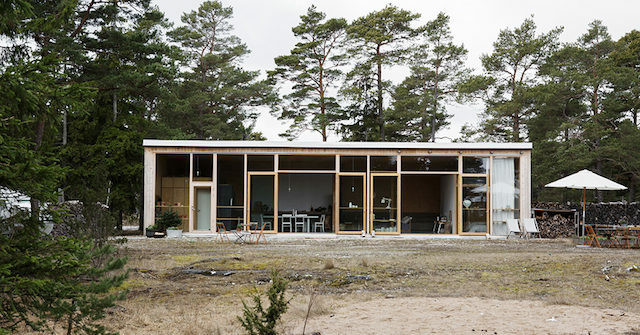 Or maybe I could stay at the nearby Fabriken Furillen (owned by photographer Jonas Hellström) and we could meet for a glass of rosé on your terrace?! Get the look: I love this rattan hanging chair, E27 pendant, Gotland sheepskin throw, Swedish L:A Bruket hand soap, source beautiful vintage chopping boards here. Swinging chair in white. For a similar paint colour try Farrow & Ball railings. 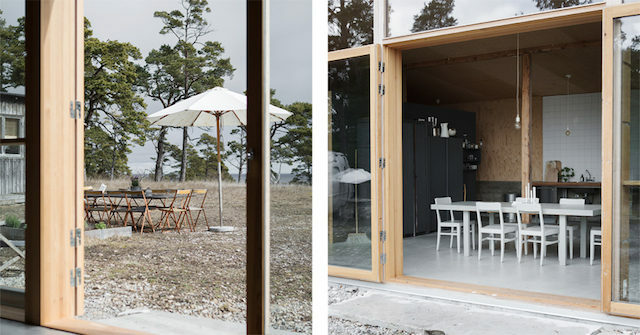 I have to say, I'd love to own a home on Gotland one day. 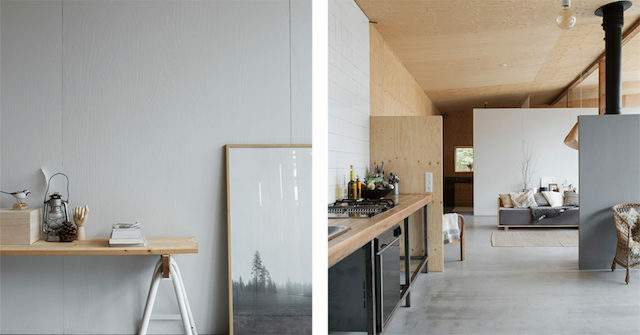 If you're not convinced - here are some cabins and cottages I've shared in the passed: Amelia Widell's idyllic island holiday home, a lovely summer cottage, and a fashion photographer's rustic retreat. 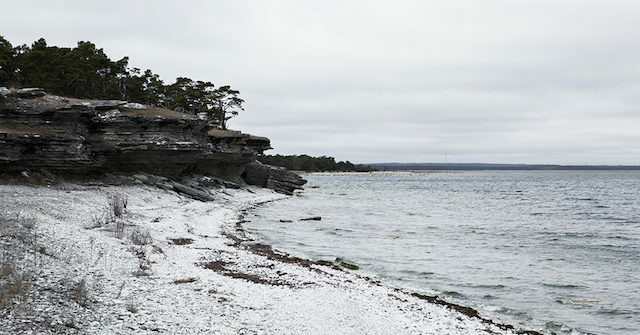 This site has everything you need to know about visiting Gotland (in case you're tempted!). Oh and someone in particular's week has got off to a really great start - the winner of the designerbox give-away has now been announced here! Make sure you pop by to see if it's you! It really is isn't it. 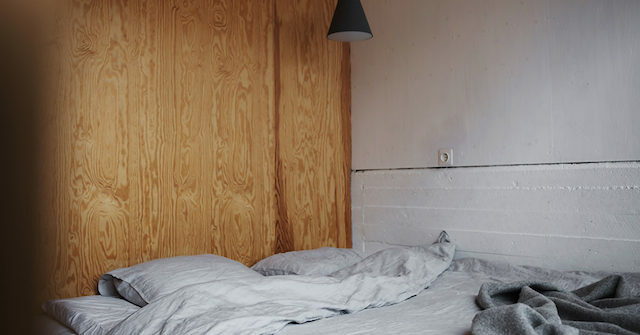 I love the all the exposed wood. 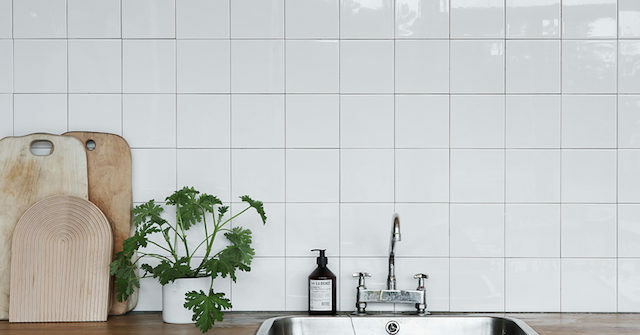 Simple and natural is the way to go in a summer house, that's for sure. We did take that approach as well for ours and I haven't regretted it once yet. These are beautiful pictures, makes me long for vacation and slow summer days! Thanks for sharing.